Las Vegas is the kind of place where milestones become memories, and when it comes to 21st birthdays, it really can’t be beaten. If you’re looking to celebrate a 21st birthday with a girl’s weekend in Vegas, you need to be prepared. Don’t worry, we have you covered! Here is everything you need to know to make it the best birthday of your life! The Basics: Ensuring your Birthday is Done Right! Sin City is a party 24/7/365. In other words, the party never stops. However, there are certain events and times of the year to be aware of when you’re scheduling a trip, so you know what you’re in for. The first weekend in February will be packed with Super Bowl fans. Late October is World Series time. The Fourth of July and New Year’s Eve will be packed, and expect to have trouble booking a room in March and April when college basketball teams descend upon the city for conference tournaments and March Madness. 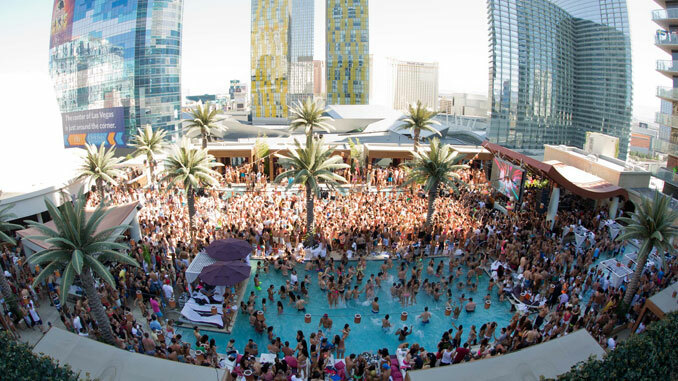 There are also festivals and conventions to consider; try booking a room anywhere in the city during the annual Electric Daisy Festival in June or CES in January, and you’ll find that rooms are either sold out or often five times the normal rate. 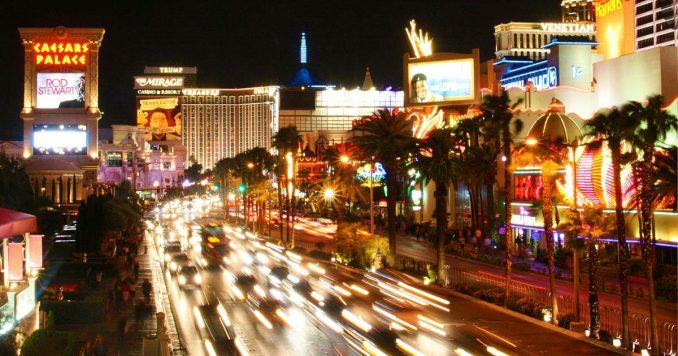 CES alone draws about 180,000 visitors to the city so things will be crowded. Timing, then, is everything. If your birthday celebration lands during a big event, you might want to consider postponing your trip to maximize your fun. If you’re planning to arrive on a Friday and leave on Sunday, expect that your hotel stay will run at least a hundred dollars per night (on the low end), and then you have to consider daily resort fees which run anywhere from $20-$50 per day. Even if you’re not using the amenities included in resort fees, you’re still paying them so be ready for that. There’s also parking, which can cost up to $20 per night. Your typical breakfast buffet or brunch will start at $14.99 per person, and that could go even higher depending on where you’re staying. For the foodies, you could easily blow through $100 per day on dining and tips, and that’s being conservative. Admission to clubs can be costly, too. Entry at 1OAK, for example, runs $30, with drinks starting at $9 each and bottle service starting at $475. While entry at MGM Grand’s Hakkasan starts at $20 for the ladies, bottle service starts at $1550. Needless to say, costs vary. Be sure you factor in cost of admission, bottle service if you’re looking for the VIP treatment and the cost of drinks. And tips. Be sure to tip your servers. Seeing a show can cost anywhere from $30 to $100, conservatively, with seating getting more expensive the closer you get to stage. If you plan things out right, you can hit an early show at 4 pm or 7 pm, head to dinner and then hit the clubs all in one perfectly planned Saturday night. There’s no benefit to buying tickets in advance over the day of the show. On the one hand, you might save money if there are promotions, but consulting your hotel concierge might land you deeply discounted same-day tickets because shows like to fill those seats. The downside to buying show tickets same day, of course, is risking tickets not being available for the day and time you’re looking for, so that’s something to consider. On the bright side, there are ways to circumvent some of these costs. Some clubs haveno-cover specials for women, and if you call ahead and make reservations you might be able to cut a deal on bottle service or drinks if they know you’re coming. (At the very least you might land a free drink for the birthday girl) Ask your hotel’s concierge for tips before heading out for the night because the concierge usually knows all of the tricks. Same with taxi drivers. Ask around, and you might save some money in one area so you can splurge elsewhere. Buy Swag, Outfits and Memorabilia ahead of time! If you are going to buy Birthday Swag or Birthdays Sashes, don’t do it in Vegas! Plan ahead and pick them up on Amazon! The bottom line when it comes to budgeting for a girl’s weekend in Las Vegas is that even if you’re sharing costs for the hotel, plan to spend some money. You have to consider everything, including taxi or Uber service and tips for waiters or bellhops. It’s amazing how fast the money can go when you’re not paying attention. $500 per person for a weekend trip will land you a nice time, but expect to pay even more as you add on extra features and amenities like shows, spa visits or expensive champagne for the midnight toast. Planning the perfect 21st birthday weekend takes some, well, planning. The more you plan, the better off you’ll be. If you leave things to chance, you’ll still have a good time, but if you don’t have reservations or know when clubs are closed, it can throw everything off. While most 21st birthdays are going to involve some sort of drinking, gambling, and other “adult activities,” an excellent place to start a birthday weekend is to treat yourself with a little bit of rest and relaxation. 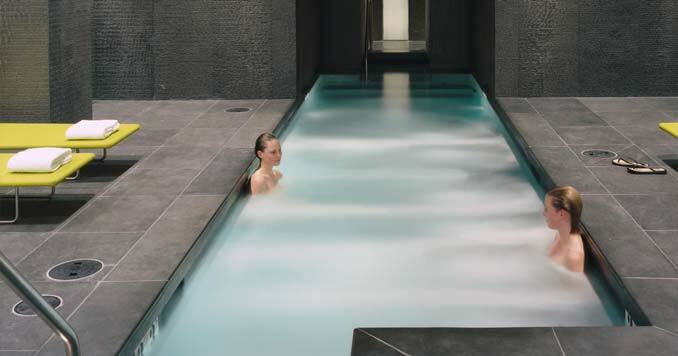 Before jumping right into the party scene, start your day off at one of Las Vegas’ many 5-star luxury day spas. Dinner and a show in Las Vegas? Sign us up! Wolfgang Puck’s Spago at Bellagio is a wonderful place to host a birthday dinner. 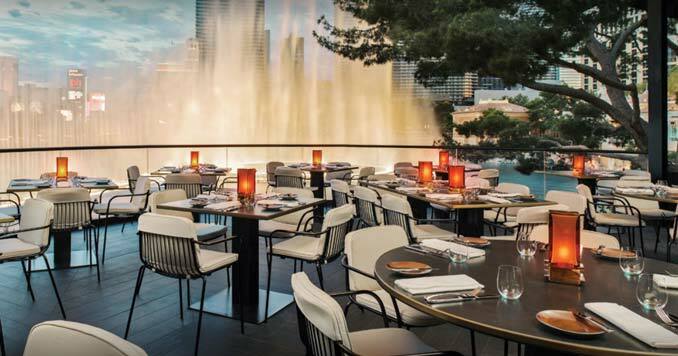 Situated on the lake at Bellagio, guests are treated to a view of the iconic Fountains of Bellagio while dining on the freshest California cuisine from Wolfgang Puck. The chefs travel to Santa Monica’s famed farmer’s market on a regular basis to pick up the freshest ingredients for the food. For the meat loving crowd, there’s nothing like a good steak, and Chef Gordon Ramsay cooks a steak like no other. Gordon Ramsay Steak at the Paris Las Vegas is a destination unto itself, and it’s a great way to kick off the night of celebrations in a big way. Gordon Ramsay fans will see nods to Ramsay’s legendary style all over the restaurant, which is considered to offer “swinging London ambience.” If you’re a fan of Hell’s Kitchen, it’s a treat to enjoy one of the iconic chef’s signature meals to commemorate the big occasion. There are two ways of handling the first drinks at midnight: Classic Vegas, or high-end experience. All of the clubs and bars will afford a very high end and luxe experience, so you might take the birthday girl to one of the many frozen margarita stands along the Strip for a margarita in a yard-long glass. If you travel Downtown to the Fremont Street Experience, there are plenty of bars along Fremont Street that serve giant margaritas, colorful mixed drinks, and beer. You don’t even have to go inside to access these bars so you can continue to experience all that Fremont Street has to offer. For the high-end experience, the birthday girl can enjoy her first drink at midnight at any one of the number of hotel bars. This one is harder to pinpoint because it really depends on the kind of experience you’re looking for. There are so many bars in Las Vegas that it’s hard to say which one is better, so it really boils down to the atmosphere. 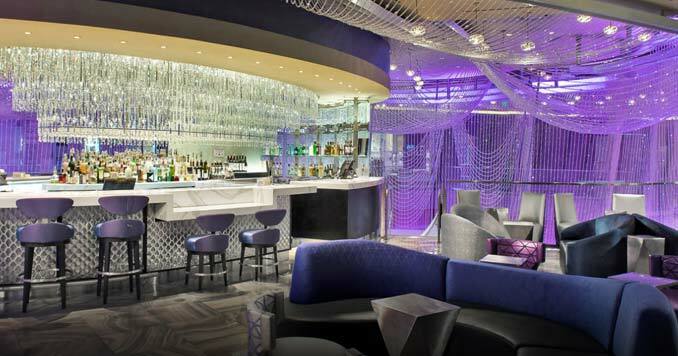 Might we suggest The Chandelier Bar at The Cosmopolitan Las Vegas. It’s everything you could want in a bar, with scenery to die for. Las Vegas clubs are known the world over. Some clubs have very strict dress codes, and guests will be turned away they’re not met. Be sure to check dress code requirements before heading out for the night. In most cases, you can’t make reservations to get into a club, but if you’re looking to spend some money on a VIP table and bottle service, this can increase your odds of getting in on a busy night and skipping the lines. Call ahead or check with your hotel concierge to see what kind of perks you might be able to enjoy. Situated around a gigantic dance floor, 1OAK at The Mirage is the place for birthday girls who love to dance. We talked about the cost of admission and bottle service earlier, but be advised that 1OAK is made for dancing. If you want a table, it will cost you, so if you’re looking for a place to hang out you might dance for a while at 1OAK and then move on. Tao at The Venetian has been around for over a decade, and it shows no sign of slowing down. This Asian-themed nightclub offers plenty of space on the dance floor in the main room with places to go to hang out when it gets busy. Buddhism is the club’s motif, but there are also girls in bathtubs and fun lighting to give Tao the unique look that make it a Las Vegas mainstay. Unlike many of the other nightclubs, Hyde Bellagio is known for a more muted experience that combines European club elegance with a dynamic view of the Fountains at Bellagio. There are no traditional dance floors but guests can dance in their booths or in any space they see fit. The mixologists at the bar are known for their exotic concoctions. Hyde opens at 5 pm nightly for pre-partying and the action gets started at 10 pm Admission starts at $20 and bottle service starts at $550. Australia’s all-male revue is the perfect place to embarrass the birthday girl, especially if she’s not one to get up on stage for a lap dance. Thunder From Down Under at Excalibur is fun for guests of all ages and the guys know how to make a girl feel special. 21st birthdays are a specialty; make sure you let the ticket agent know you’re there to celebrate a big birthday. There are performances nightly at 9 pm, with an additional 11 pm show on Fridays and Saturdays. Tickets are $50.95 with VIP tickets available for $60.95. Voted the best male revue in Las Vegas for six years in a row, Chippendales at Rio Las Vegas promises a very memorable experience for the birthday girl. The price of your ticket includes VIP admission to the Voodoo Lounge after the show, and all guests can enjoy a meet and greet with the cast after the show. Flirt Lounge is also available one hour before the show for pre-show cocktails to get the party started. There are two performances nightly at 8:30 and 10:30 pm, and tickets start at $54.95. After a long weekend of partying, you’ll want one solid meal before heading home. The Bacchanal Buffet at Caesars Palace was voted the top buffet in Las Vegas, and with good reason: There’s nothing like it anywhere else. They have all of the traditional buffet stations, but with a master chef there to guide you through the selections. This is the highest of the high-end buffets, and it’s the perfect way to bring the birthday weekend to a triumphant close. The Bacchanal Buffet is open 7:30am-10pm daily, and Sunday brunch runs at $54.99 with add-on all-you-care-to-drink packages available. Of course, there’s nothing like a quick trip to Las Vegas for a 21st birthday celebration with no planning involved. It all depends on what kind of experience you want for the birthday girl. With the right planning you can throw the birthday party to end all birthday parties and make her special day even more memorable.